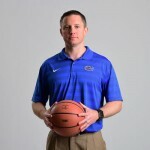 Florida Gators basketball’s 2013-14 schedule was officially announced on Tuesday. The Gators are set to face seven opponents who took part in the 2013 NCAA Tournament while also participating in three events – the Big 12/SEC Challenge, Jimmy V. Classic and Orange Bowl Basketball Classic. 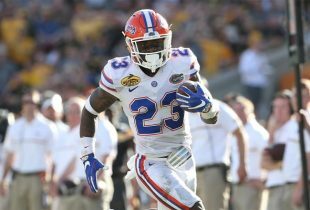 Florida will take on their permanent rival of Kentucky twice during the Southeastern Conference‘s 18-game schedule while also facing Alabama, Auburn, South Carolina and Tennessee twice each as part of the four-team annual rotation. After opening the SEC slate at home, the Gators will play four of their next six games on the road before returning to Gainesville, FL, for a three-game homestand from Feb. 1-8. 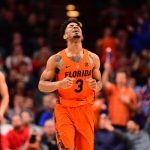 Florida then plays five of its next seven league games out of town before concluding the season with Senior Day against Kentucky on March 8. 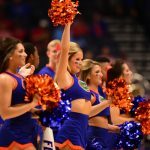 UF will play three Super Tuesday games on ESPN and also be the visiting team when ESPN’s College GameDay rolls into Lexington, KY, on Feb. 15. Florida will play three SEC contests on CBS, 16 total games on ESPN networks, two games on the syndicated SEC Network, two on FSN and one on CSS. Most of the non-conference game times and network affiliations have not yet been released. » Ten teams each from the SEC and Big 12 will each compete in the Big 12/SEC Challenge from Nov. 14-Dec. 21. It is the first year of the event’s existence following the cancellation of the SEC/Big East Challenge (2007-12). » The Gators are competing in the OBBC for the 13th time in the last 14 years. » UF has Thursday-Saturday back-to-backs in consecutive weeks on Jan. 23-25 and Jan. 30-Feb. 1. Head coach Billy Donovan will not be pleased with that. Anything on Scottie Wilbekin? Also Eli Carter is listed on the UF website (GatorZone) as being on the roster. I did not know he was cleared to play by Rutgers or the NCAA? Carter is on the team whether or not the NCAA agrees to his wavier. It’s whether or not he’s eligible to play in 2013-14 that is the question. Normally, a transfer has to sit out a year; his waiver is to be able to play immediately because of the Rutgers situation. The waiver is still TBD. As long as Florida finds out by October (the season starts in November), Donovan will adjust accordingly. Nothing official will likely come down on Wilbekin until closer to the season. Expect a multi-game suspension.